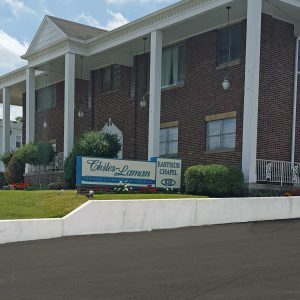 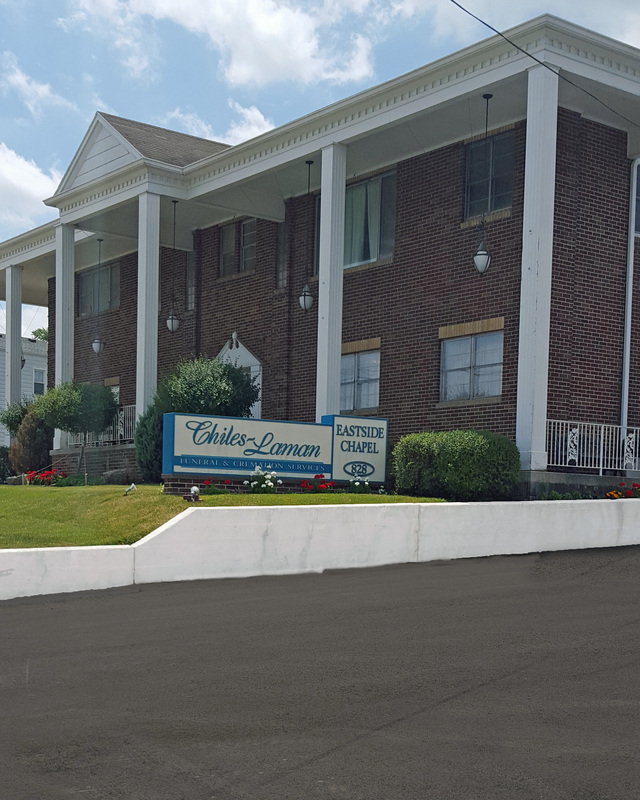 Chiles-Laman Funeral & Cremation Services purchased the former Harry Lewis Funeral Home in 1959 and remodeled it to serve the families on the east side of Allen County. 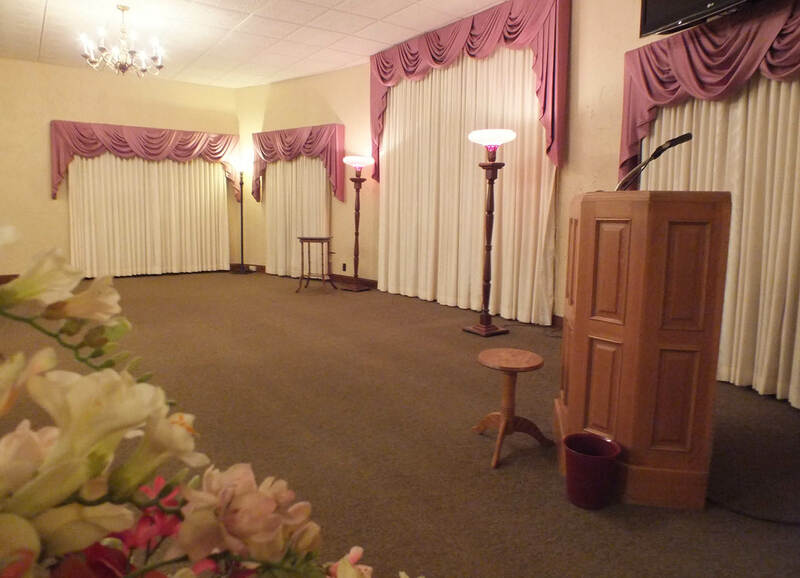 Our Eastside Chapel is large and ornate with a stained glass window, fireplace, and lofty ceilings. 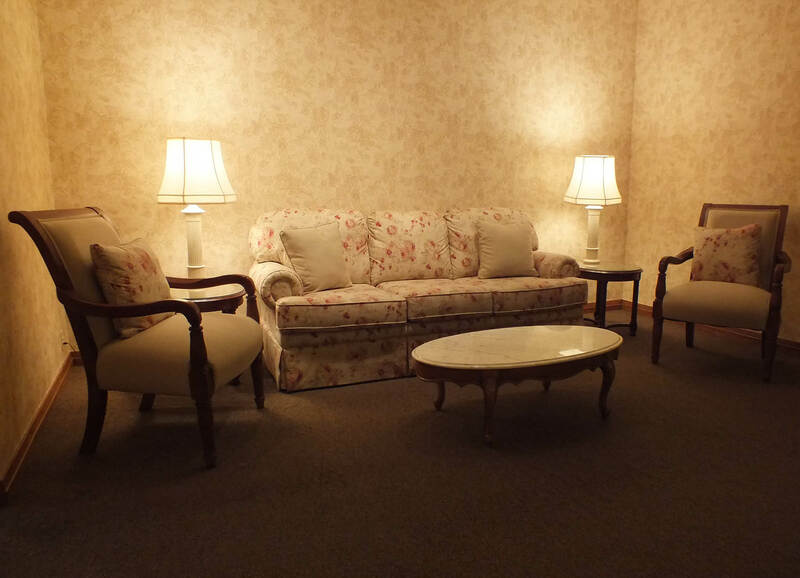 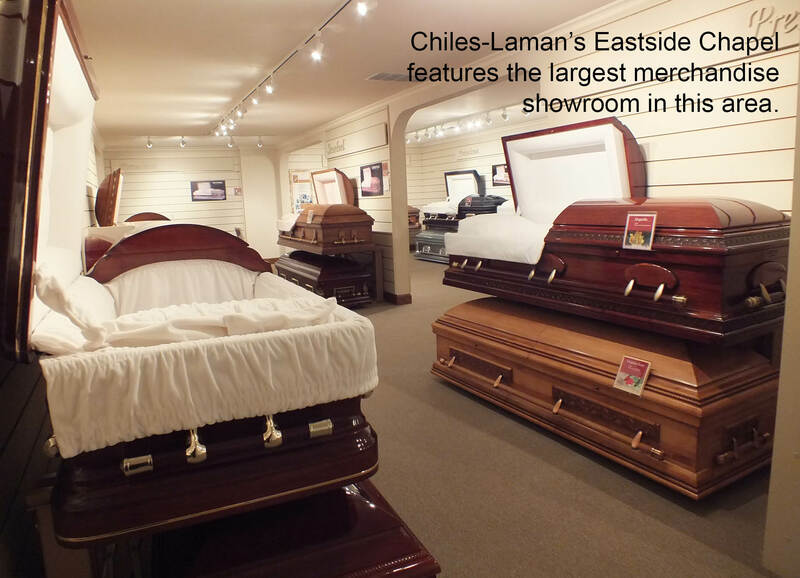 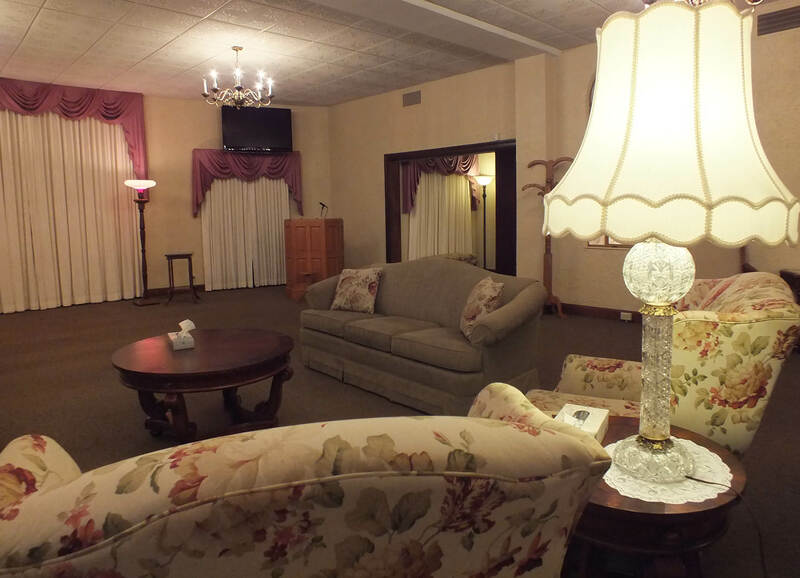 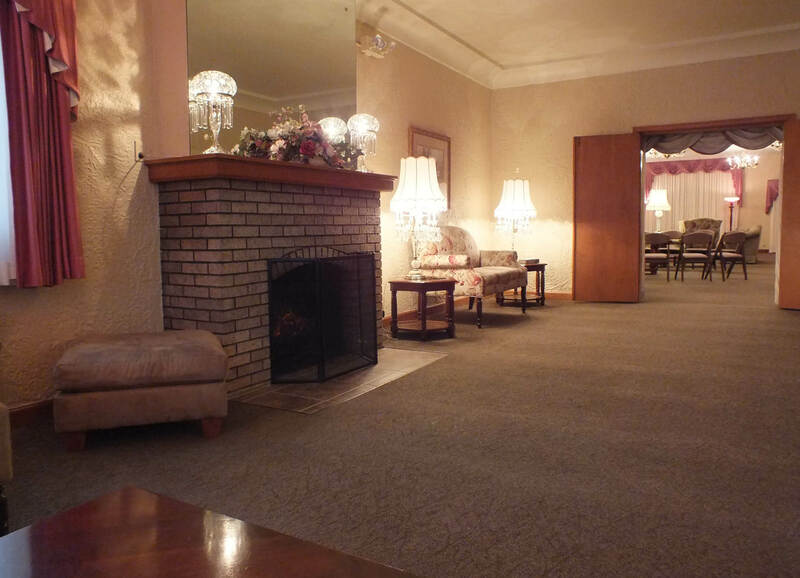 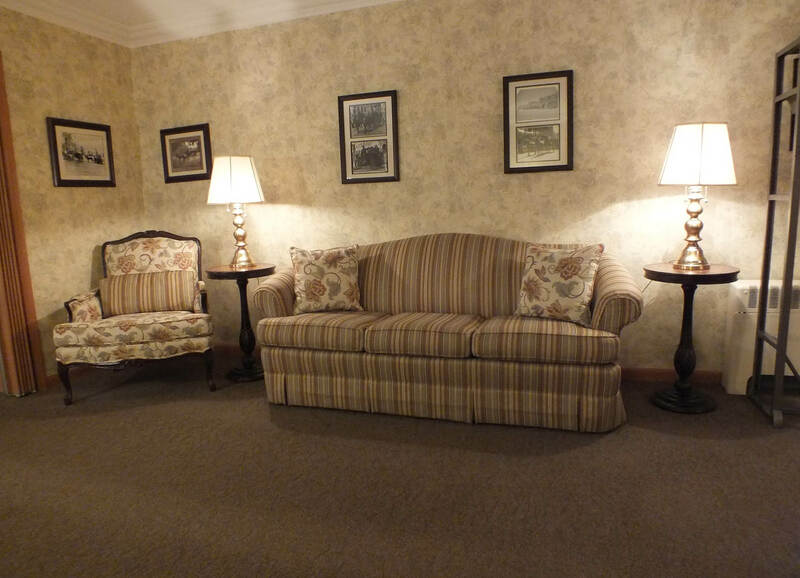 Upstairs is the largest showroom of funeral merchandise in our area. 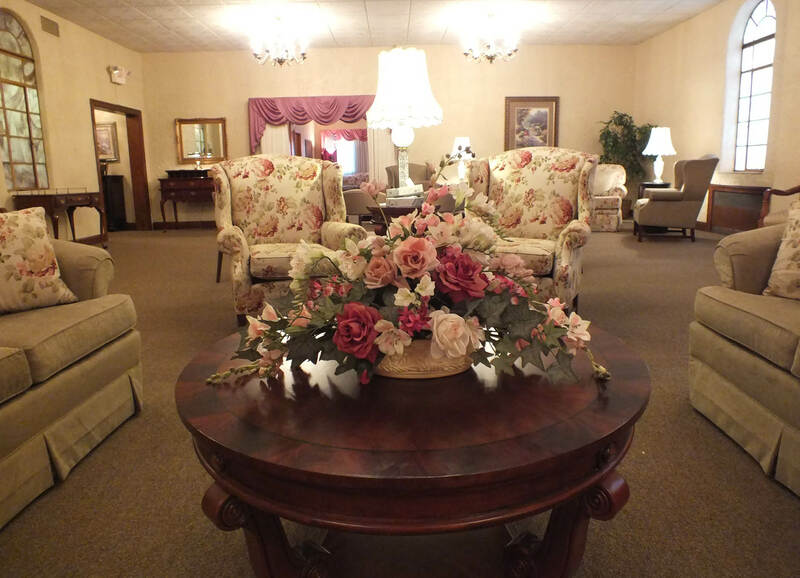 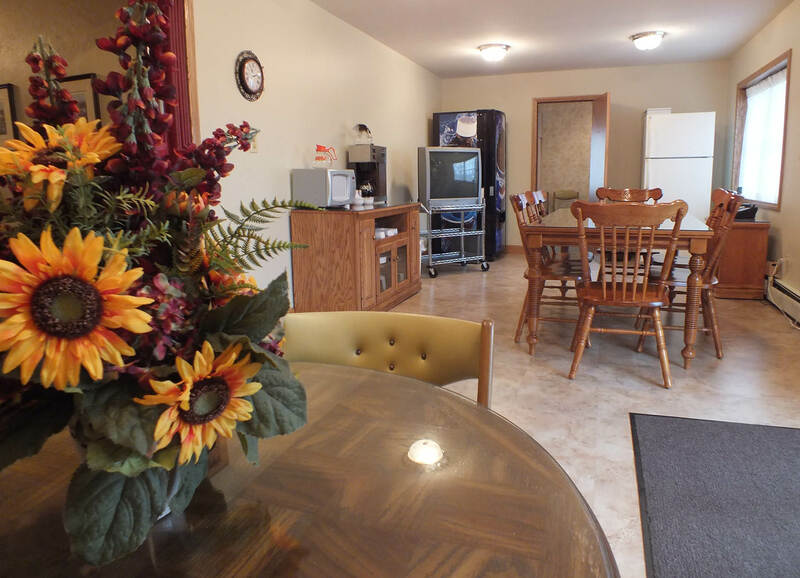 We are happy to have you visit and view our selection.